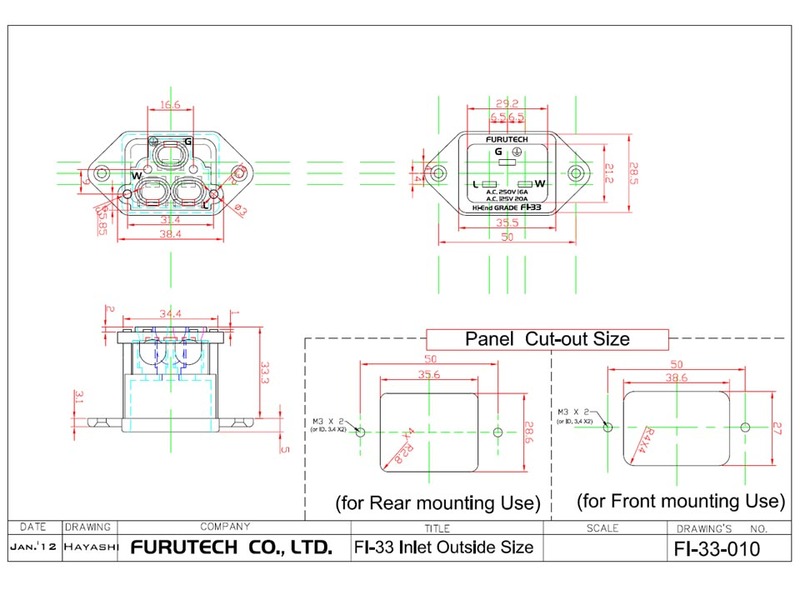 The Furutech FI-33 is an excellent chassis mount IEC connector. The body is ny-glass with OCC (ultra pure Copper) contacts plated in Rhodium. As with most Furutech parts, they have been processed with Furutech's Super Cryogenic & Demagnetize treatment. 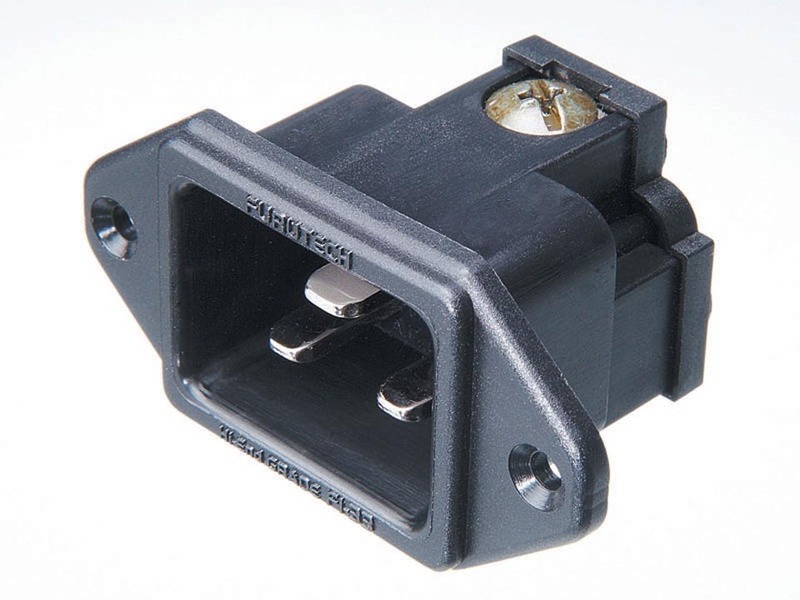 The FI-33 is rated at 20 Amps and 250 VAC.